Want to maintain that Good Credit? 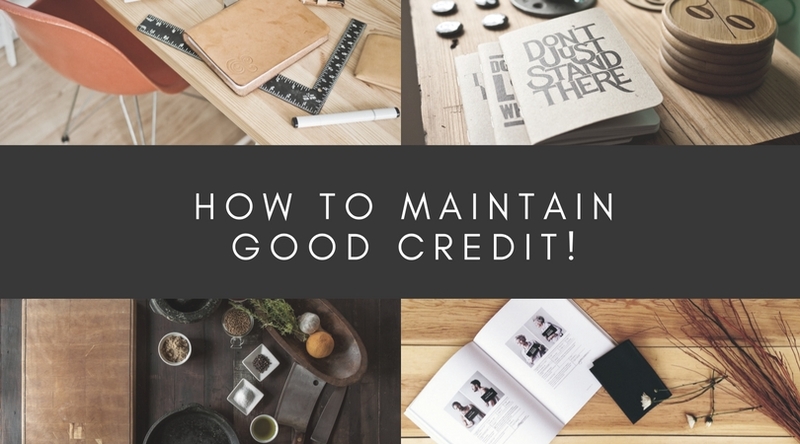 You can make sure that when you get your credit in good shape that it STAYS THERE! Here are a few ways to do just that! Maintain low balances on your credit cards and revolving lines of credit. Once you’ve paid them down, keep the balances low by using them only for emergencies. If the balance is currently high on one or more cards or credit lines, begin paying them down, starting with the card or credit line with the highest interest rate first. Many creditors and utility companies make it easy to pay your bills on time by sending reminders before the payment is due. Additionally, setting up an automatic payment will ensure the bill is paid on time. Keep rate shopping within a 30-day window of time. If you’re thinking of taking out a loan to buy a car or a home, limit your rate search to a small timeframe so the inquiries will likely be treated as a single one. The more inquiries into your credit, the more likely they’ll count against your score. Even if you don’t use a line of credit anymore, it may not be a good idea to close it. Closing several accounts at once may raise red flags and impact your credit. Instead, leave the balance at zero and try not to use it. It takes time to build great credit; it also takes time to rebuild your credit once it’s damaged. Once you’ve earned a great credit score, continue good financial habits to maintain it. The difference between "Good Credit" and "Excellent Credit"
What is the dividing factor between people with "Good" credit and people with "excellent" credit? Although people with excellent credit have more open revolving credit accounts, they don’t actively use them and the debt they do carry makes up a lower percentage of their overall available credit. This month’s featured video discusses the importance of using a Realtor for all of your home buying needs. Realtor's have a great deal of knowledge in the real estate market can provide all of the information you need for the property you are interested in. A Realtor can also help you determine how much home you can comfortably afford and refer you to helpful lenders. A Realtor will always negotiate on your behalf to get you the best price for your new home and help take care of all of the closing paperwork, and closing procedures. If you have not reviewed my monthly Housing Trends Newsletter - you could be missing out. Everywhere I go, people are asking me about the housing market conditions - it's on everyone's mind. Staying abreast of local and national market conditions and factors that can affect the future sale or purchase of your home can make the decision process less daunting. I always tell my clients that in order to make the best decision they need to have all the information they can upfront. My Housing Trends Newsletter is just one of the tools in my arsenal to make sure you keep informed. The March 2014 Local and National Housing Trends has just been released. This month's newsletter is packed full of local and national housing market statistics and news you need to know to stay current with today's changing housing market. If you wish to receive FREE Housing Trends eNewsletter e-mailed to you monthly, click here to Subscribe. If you are considering selling your house or buying a home and need more information, I am never too busy to help, please contact me for more information. Buying a home in today's competitive market can be tricky. Low housing inventory in Houston, Kingwood, The Woodlands, Humble and Atascocita areas have created challenges for buyers trying to find the right house. Buyers are facing multiple offers and losing out on houses to other buyers with better offers and terms that sellers find more advantageous. So with these challenges in place, how can a buyer get ahead of other buyers? Remember the saying you only have one chance to make a good impression, never in the housing market has this been more true. When formulating your offer, remember to think like a seller, what terms would appeal to you? What would put you off a buyer? Buyers must consider all these factors when submitting their offer. 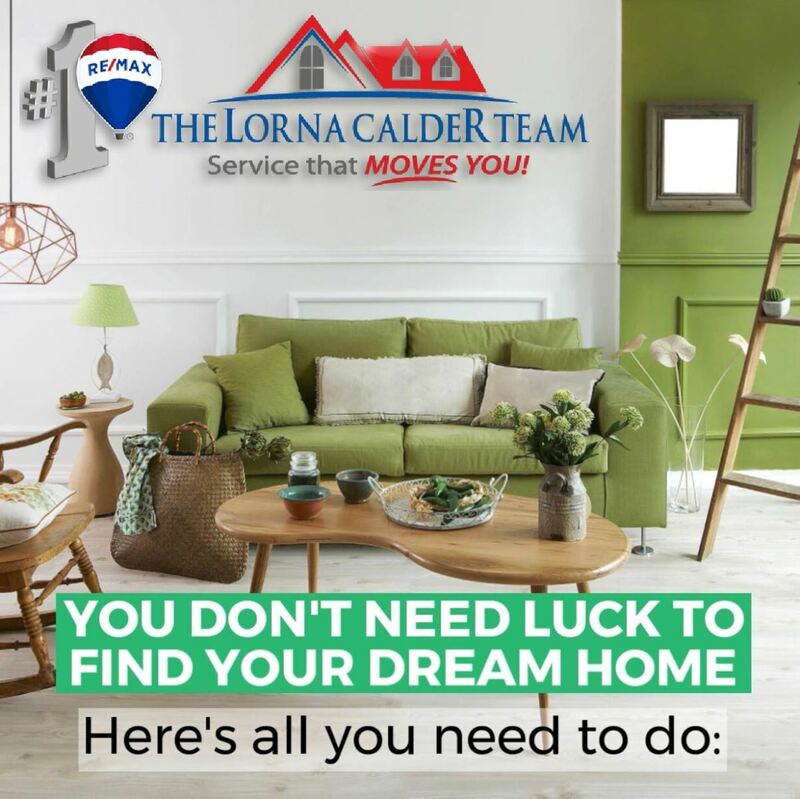 Lorna Calder is a top rated Broker Associate at RE/MAX Associates Northeast in Kingwood Texas. Currently ranked #7 at RE/MAX in Kingwood, Lorna continues to exceed her clients expectations. This month’s feature video will discusses the importance of having a property inspected prior to purchase. A home inspection is an objective visual examination of the physical structure and systems of a home from the roof to the foundation. The standard home inspectors report will include an evaluation of the condition of the homes heating system, central air conditioning system, interior pluming and electrical systems, the roof, attic and visible insulation, walls, ceilings, floors, windows and doors, the foundation, basement and visible structure. Why do you need a home inspection? The purchase of a home is probably the largest single investment you will ever make. You should learn as much as you can about the condition of the property and the need for any major repairs before you buy so you can minimize unpleasant surprises and difficulties afterwards. How much does a home inspections cost? The inspection fee varies geographically. The fee may also vary depending on the size of the house, its age and possible additional services, such as septic, well, and radon testing.The knowledge gained from the inspection is well worth the cost and the lowest priced inspector is not necessarily a bargain. Though it may be natural to wonder if you can do it yourself even the most experienced homeowner lacks the knowledge and expertise of a professional home inspector. An inspector is familiar with all the elements of home construction, their proper installation and maintenance. More information about licensed professional inspectors can be found at www.trec.state.tx.us/inspector/levelsandpaths.asp . You may wonder if a house can fail an inspection, the answer is no. A professional home inspection is an examination of the current condition of your prospective home. A home inspector will not pass or fail a house but rather describes it’s physical condition and indicates what may need repair or replacement. So now you have learned why it is so important to always have a property inspected as part of the purchase process. There is a lot to know about owning a home. A realtor is always your best source of information for all your real estate needs. The June 2013 Local and National Housing Trends has just been released. This month's newsletter is packed full of local and national housing market statistics and news you need to know to stay current with today's changing housing market. What Homeowners' Insurance Discounts Are You Missing? This month's video from HAR discusses Short Sales. Short Sales occur when a home owner needs to get out of a home without the nasty side effects of a foreclosure. In a Short Sale the bank, the home owner, and the buyer all work together to sell the house in a manner which is mutually beneficial to all parties involved. Please watch the video below to find out more. If you would like to know more about Short Sales and/or have any questions please do not hesitate to contact me. The August 2012 Local and National Housing Trends Newsletter has just been released. This month's newsletter is packed full of local and national housing market statistics and news you need to know to stay current with today's changing housing market. There has never been a better time to buy a home. First the selection of homes available to purchase in all price ranges is tremendous and with more homes on the market buyers naturally have a better selection. Many markets have experienced values above that are above prices. This translates to an increased supply resulting in prices that are below values in some areas. One of the most compelling reasons to buy a home now is interest rates. They are the talk of the town and for good reason. We are experiencing generationally low interest rates that will not stick around as the economy recovers. It is important for buyers to talk with their real estate consultant and mortgage lender about the cost savings of even a quarter point over the life of a mortgage loan. Finally the tax advantage of homeownership with respect to the mortgage interest and property tax deductions should be considered compelling reasons to buy a home. There may never be a better time to buy a home! This may be the best time in a lifetime to buy a home. There are plenty of homes available in most markets at affordable prices and interest rates still remain generationally low. Some markets are seeing that the value of homes are sometimes over the prices right now. 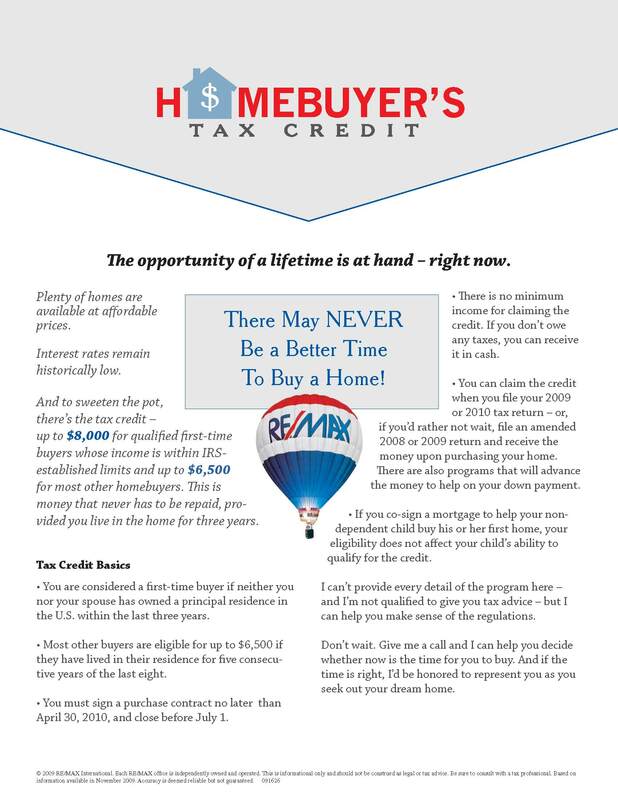 And to sweeten the pot, the $8,000 tax credit for qualified first time homebuyers and up to $6,500 for most other homebuyers that qualify, is still on the table until April 30th. This money does NOT have to be repaid provided you live in the home for at least 3 years. 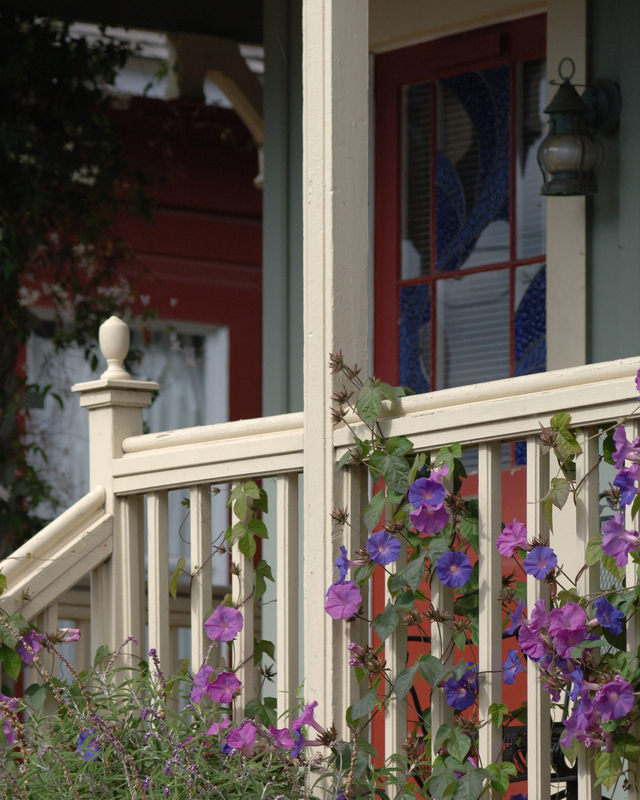 REALTORS® are encouraging buyers to get off the fence now to avoid the rush closer to April 30th. As that date approaches mortgage lenders and title companies are going to be dealing with a larger number of files and processing delays can and most likely will occur. As it stands now most mortgage lenders are asking for at least a 45 day window to close a loan. That combined with issues that could arise from inspections and appraisals that require time to be resolved may also exclude some buyers that waited until April. For example what happens when a buyer executes a contract on a home with an inspection option period and the home has issues that the Seller won't pay for... Buyers may just find themselves starting over. The same goes for appraisals, if the home being purchased has an appraisal issue that cannot be resolved between the buyer and seller, the contract may fall apart. For these reasons and more, sooner is better than later.